Morning traders. It’s the end of the month already and the end of the week too, so it would be fitting to see a close of the gap from Monday. Perhaps after the gap close, there will be some balance around 11,150, therefore I suspect that shorts will be popular today. Will we take out the previous lows and test 11k? I personally think that’s unlikely today, but I have been wrong before. 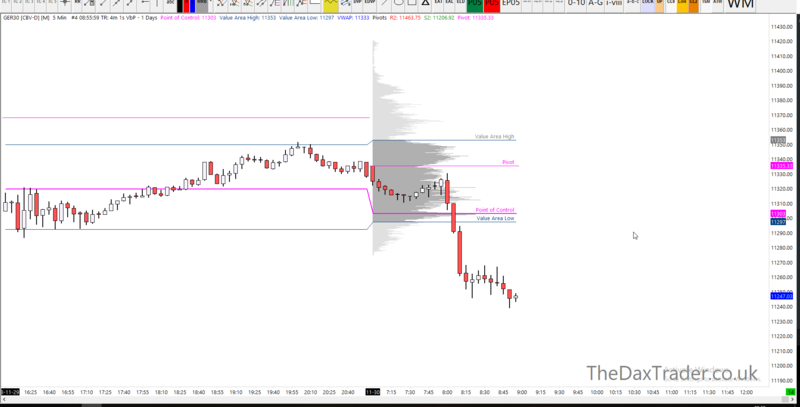 I have now made the intraday strategy available for Sierra Charts users! Full members will have constant access to this strategy, but anyone else is welcome to a trial. Enjoy. 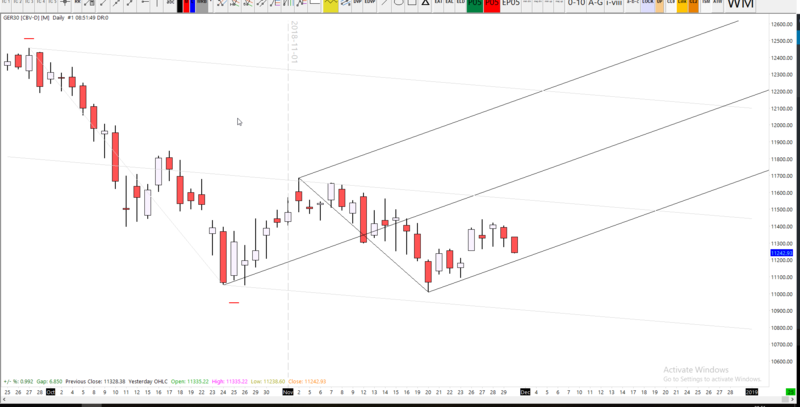 I would like to see the way the lower median line parallel (LMLH) holds on the daily fork below. If it’s taken out, perhaps this is an example of Hagopian’s rule, as we’ve missed the median line. 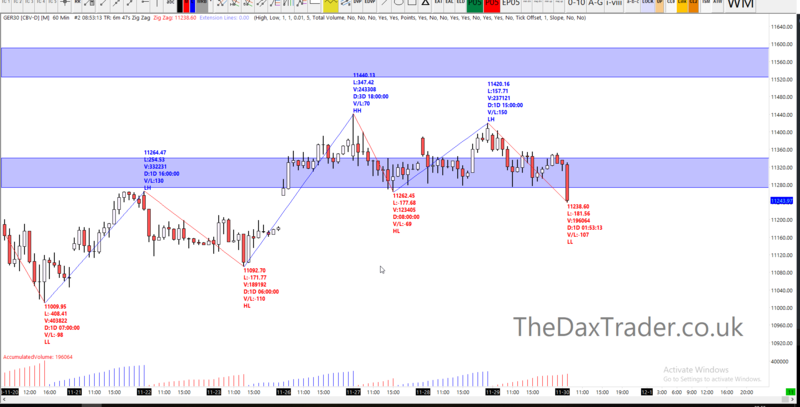 Has DAX 30 Support Broken? Yes it has. Well, it’s certainly been pierced and tested heavily right now. The current hourly candle (at the time of writing) is significantly above the average true range, wider than the majority of visible candles, and has clearly taken out the recent lows. We will know more once we get closer to that gap. Targets to the downside are the gap close, or another option is 11,150, beyond that is a bonus for shorts. We opened up inside the value area this morning, before accelerating through the Point of Control and the Value Area Low. We did not test the Value Area High this morning and we have not even tested the Value Area Low from the underside. It’s a very bearish start with no sign of respite just yet. Other shorting options are 11,300 – which would represent a test of yesterday’s value area from the underside.